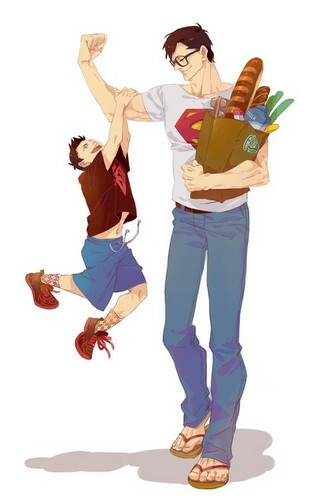 Young Superboy and スーパーマン shopping. Young Superboy and スーパーマン shopping. Wallpaper and background images in the ヤング・ジャスティス club tagged: young justice superboy superman conner kent clark kent. This ヤング・ジャスティス photo might contain 長ズボン, 長いズボン, 身なりの人, スーツ, パンツスーツ, よく服を着た人, パンツ スーツ, pantleg, and パンツレッグ.